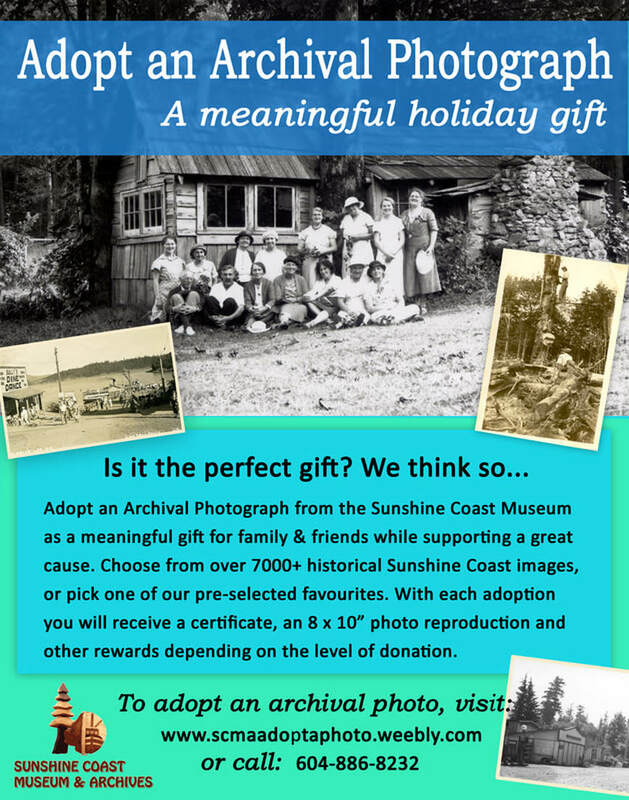 Help support your Sunshine Coast Museum & Archives by ordering some delicious chocolate for our Holiday 2018 Fundraiser. 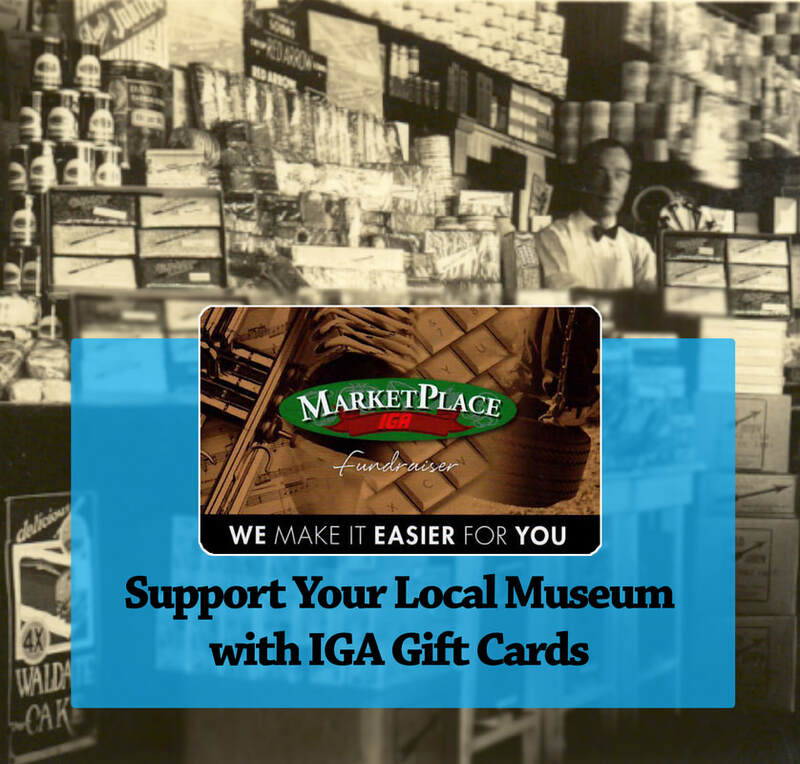 Drop by the Museum to pick up a Purdy's Chocolate catelogue, or give us a call and we can deliver one to you. Purdy's various assortments of gourmet chocolates make great gifts for friends, family and neighbours. 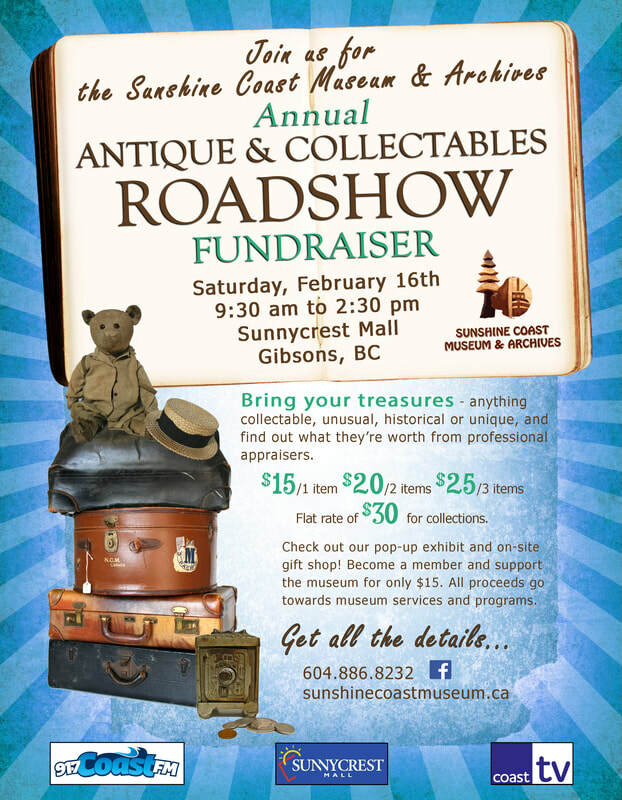 Your purchase will also help support the work that we do at the Museum to preserve, promote and showcase the fascinating histories of the Sunshine Coast. Thanks for your support! 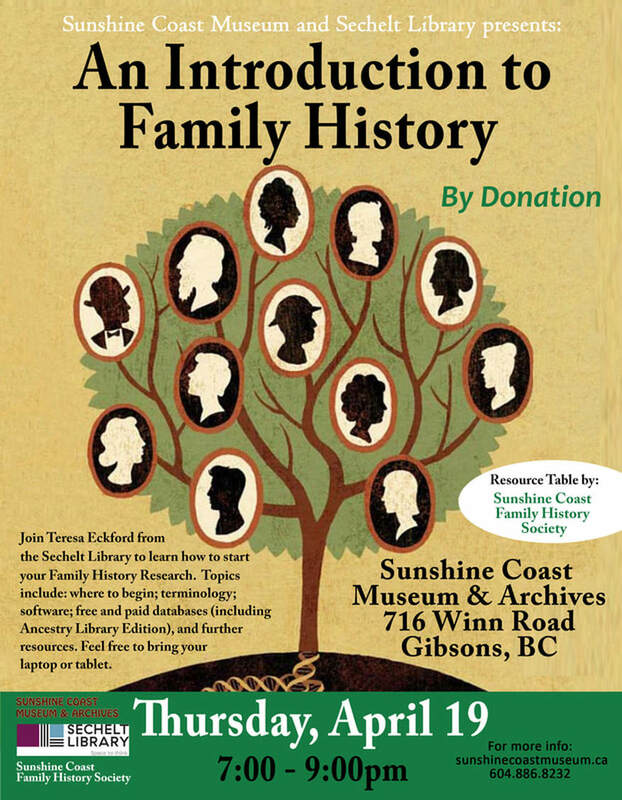 Imagine being passionate about local history and visiting the Sunshine Coast Museum & Archives, only to discover that because you use a wheelchair, you cannot access the second floor of the Museum due to a flight of stairs. Your only available option is to use an outdoor ramp, even in inclement weather, to get upstairs and explore the exhibits. Accessibility is a matter of human dignity and allows everyone to participate fully in the museum experience. Adopting an artifact allows you to personally connect with a museum artifact at the same time as supporting the Museum´s Universal Accessibility Project. 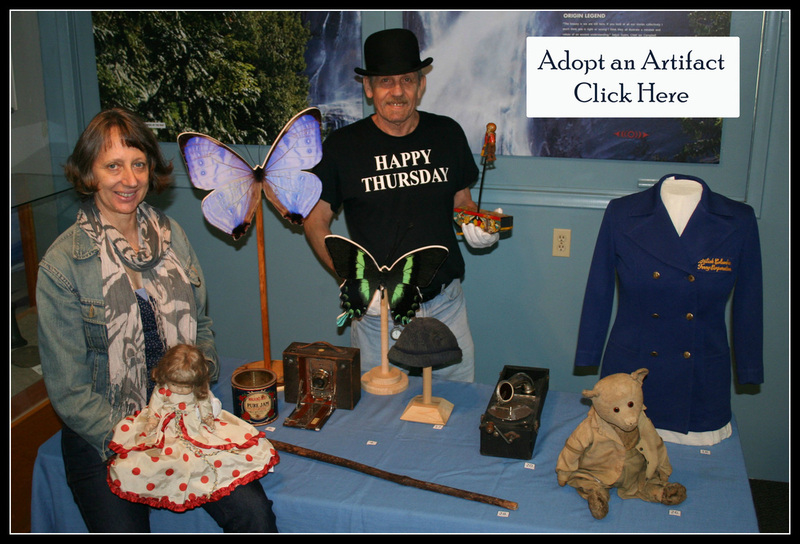 ​Choose from over 30 priceless, intriguing and one-of-a-kind artifacts to adopt for varying levels of donation.